Android 5.0 Lollipop was one of the most significant Android releases ever, in no small part due to the introduction of material design, a new design language that refreshed the entire Android experience. Our detailed spec is a great place to start to adopt material design, but we understand that it can be a challenge for developers, particularly ones concerned with backward compatibility. With a little help from the new Android Design Support Library, we’re bringing a number of important material design components to all developers and to all Android 2.1 or higher devices. You’ll find a navigation drawer view, floating labels for editing text, a floating action button, snackbar, tabs, and a motion and scroll framework to tie them together. The navigation drawer can be an important focal point for identity and navigation within your app and consistency in the design here can make a considerable difference in how easy your app is to navigate, particularly for first time users. NavigationView makes this easier by providing the framework you need for the navigation drawer as well as the ability to inflate your navigation items through a menu resource. You’ll note two attributes for NavigationView: app:headerLayout controls the (optional) layout used for the header. 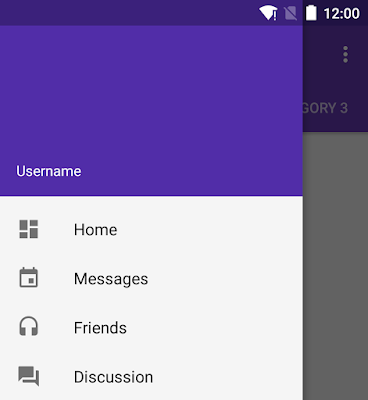 app:menu is the menu resource inflated for the navigation items (which can also be updated at runtime). NavigationView takes care of the scrim protection of the status bar for you, ensuring that your NavigationView interacts with the status bar appropriately on API21+ devices. The checked item will appear highlighted in the navigation drawer, ensuring the user knows which navigation item is currently selected. You’ll get callbacks on selected items by setting a OnNavigationItemSelectedListener using setNavigationItemSelectedListener(). This provides you with the MenuItem that was clicked, allowing you to handle selection events, changed the checked status, load new content, programmatically close the drawer, or any other actions you may want. Even the humble EditText has room to improve in material design. While an EditText alone will hide the hint text after the first character is typed, you can now wrap it in a TextInputLayout, causing the hint text to become a floating label above the EditText, ensuring that users never lose context in what they are entering. In addition to showing hints, you can also display an error message below the EditText by calling setError(). A floating action button is a round button denoting a primary action on your interface. The Design library’s FloatingActionButton gives you a single consistent implementation, by default colored using the colorAccent from your theme. In addition to the normal size floating action button, it also supports the mini size (fabSize="mini") when visual continuity with other elements is critical. As FloatingActionButton extends ImageView, you’ll use android:src or any of the methods such as setImageDrawable() to control the icon shown within the FloatingActionButton. Providing lightweight, quick feedback about an operation is a perfect opportunity to use a snackbar. Snackbars are shown on the bottom of the screen and contain text with an optional single action. They automatically time out after the given time length by animating off the screen. In addition, users can swipe them away before the timeout. .show(); // Don’t forget to show! You’ll note the use of a View as the first parameter to make() - Snackbar will attempt to find an appropriate parent of the Snackbar’s view to ensure that it is anchored to the bottom. Switching between different views in your app via tabs is not a new concept to material design and they are equally at home as a top level navigation pattern or for organizing different groupings of content within your app (say, different genres of music). However, if you are using a ViewPager for horizontal paging between tabs, you can create tabs directly from your PagerAdapter’s getPageTitle() and then connect the two together using setupWithViewPager(). This ensures that tab selection events update the ViewPager and page changes update the selected tab. Distinctive visuals are only one part of material design: motion is also an important part of making a great material designed app. While there are a lot of parts of motion in material design including touch ripples and meaningful transitions, the Design library introduces CoordinatorLayout, a layout which provides an additional level of control over touch events between child views, something which many of the components in the Design library take advantage of. A great example of this is when you add a FloatingActionButton as a child of your CoordinatorLayout and then pass that CoordinatorLayout to your Snackbar.make() call - instead of the snackbar displaying over the floating action button, the FloatingActionButton takes advantage of additional callbacks provided by CoordinatorLayout to automatically move upward as the snackbar animates in and returns to its position when the snackbar animates out on Android 3.0 and higher devices - no extra code required. CoordinatorLayout also provides an layout_anchor attribute which, along with layout_anchorGravity, can be used to place floating views, such as the FloatingActionButton, relative to other views. One note: all views using the scroll flag must be declared before views that do not use the flag. This ensures that all views exit from the top, leaving the fixed elements behind. This setup uses CollapsingToolbarLayout’s app:layout_collapseMode="pin" to ensure that the Toolbar itself remains pinned to the top of the screen while the view collapses. Even better, when you use CollapsingToolbarLayout and Toolbar together, the title will automatically appear larger when the layout is fully visible, then transition to its default size as it is collapsed. Note that in those cases, you should call setTitle() on the CollapsingToolbarLayout, rather than on the Toolbar itself. In addition to pinning a view, you can use app:layout_collapseMode="parallax" (and optionally app:layout_collapseParallaxMultiplier="0.7" to set the parallax multiplier) to implement parallax scrolling (say of a sibling ImageView within the CollapsingToolbarLayout). This use case pairs nicely with the app:contentScrim="?attr/colorPrimary" attribute for CollapsingToolbarLayout, adding a full bleed scrim when the view is collapsed. One thing that is important to note is that CoordinatorLayout doesn’t have any innate understanding of a FloatingActionButton or AppBarLayout work - it just provides an additional API in the form of a Coordinator.Behavior, which allows child views to better control touch events and gestures as well as declare dependencies between each other and receive callbacks via onDependentViewChanged(). Views can declare a default Behavior by using the CoordinatorLayout.DefaultBehavior(YourView.Behavior.class) annotation,or set it in your layout files by with the app:layout_behavior="com.example.app.YourView$Behavior" attribute. This framework makes it possible for any view to integrate with CoordinatorLayout. Note that as the Design library depends on the Support v4 and AppCompat Support Libraries, those will be included automatically when you add the Design library dependency. We also took care that these new widgets are usable in the Android Studio Layout Editor’s Design view (find them under CustomView), giving you an easier way to preview some of these new components. The Design library, AppCompat, and all of the Android Support Library are important tools in providing the building blocks needed to build a modern, great looking Android app without building everything from scratch. 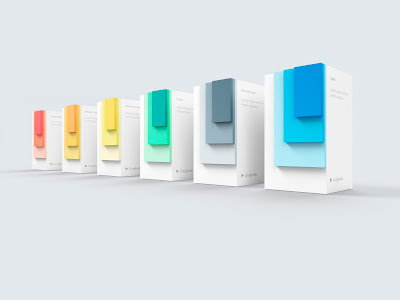 When we first announced material design in June 2014, we shared an aspirational highlights reel that demonstrated key material principles for motion, interaction, and visual design across a range of hypothetical apps. “Hypothetical” being the key word here—back then, material design was just an idea. Sure, designers and engineers at Google were already working hard on applying material to Google’s Android, iOS, and web apps, but the notion of a single design system that can work across platforms and brands was just an idea. Fast-forward to today, and thousands of Android apps are adopting material design using the Android 5.0 SDK and AppCompat, while designers and developers begin to experiment with material design on iOS and the web as well. These apps are starting to realize that aspirational vision we set out with that sizzle reel. Today, we’re celebrating the amazing design work from Google Play developers and announcing the Material Design Showcase and Material Design Awards. With the Material Design Showcase, we’re highlighting 18 great material design apps through a collection on Google Play, just like with the Beautiful Design collection in years past. Of those 18 apps, we’re recognizing 6 with a special award, which we handed out during Google I/O today and announced at the Material Now session hosted by Matias Duarte. The individuals, teams, and companies behind these apps have made the promise of material design that much more of a reality. But remember, this is only the beginning. We’ll continue to recognize excellent material design in the future, evolving the awards as we evolve material design itself—together as a community. If you’re a designer or developer just starting out with material design, make sure to check out these 18 apps in the Material Design Showcase. They’re a great source of inspiration, in addition to the awesome content on community sites like Dribbble. And if you’re wondering how to start implementing some of these ideas, get started today with the Creating Apps with Material Design training docs. When you publish your next great app with material design, be sure to let us know on Google+ and Twitter! At Google I/O, we announced the rollout of Google Play services 7.5 that deliver new capabilities and optimizations to devices across the Android ecosystem. 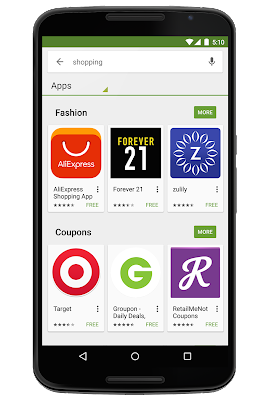 Google Play services ensures that you can build on the latest features from Google for your users, with the confidence that those services will work properly on Android 2.3 and higher devices. You’ll find the addition of Smart Lock for Passwords, Instance ID, new APIs for Google Cloud Messaging and Google Cast, as well as access to the Google Maps API on Android Wear devices. Typing in a password, particularly on a mobile device, is never a pleasant experience. 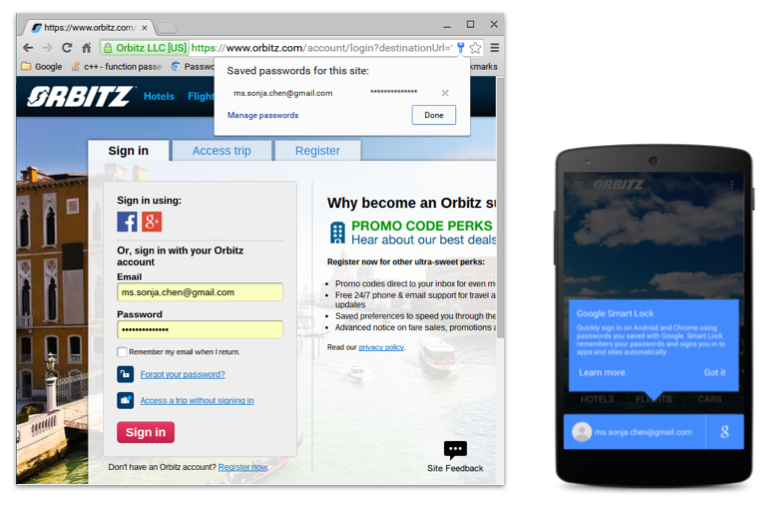 In many cases, your users have already logged in on the web or another device - shouldn’t your login process know that? Smart Lock for Passwords builds on the Chrome Password Manager, adding a new CredentialsApi API and UI on Android to retrieve saved credentials as part of your login process and saving new credentials for later use on other Android devices and any Chrome browser. Both password-based and Identity Provider (IDP, like Google Sign-In) credentials are supported. Keep your users logged in as they move between and to new devices; don’t let them drop off, get frustrated, or end up with multiple accounts. Learn more about Smart Lock for Passwords on the developer site. Instance ID (IID) allows you to retrieve a unique identifier for every app instance, providing a mechanism to authenticate and authorize actions, even if your app does not have user registration and accounts. For example, this allows you to uniquely determine which app instance is sending a request from by including the Instance ID token. We’ve also made it easy to handle edge cases to ensure that you’ll have valid Instance ID tokens. Google Cloud Messaging (GCM) gives developers a battery efficient mechanism for sending information to your users as well as send upstream messages from a device to your server. Previously, GCM used a unique registration ID to refer to each device - while these IDs will continue to work, you can now utilize Instance ID tokens for GCM, gaining all of the advantages of InstanceID around handling error cases. Instance ID tokens are fully compatible with user notifications, allowing you to send notifications to all of a user's devices. You’ll also get another new feature for switching to InstanceID with GCM - topic based subscriptions! This makes it easy to publish a message to exactly the right audience and have GCM handle all the heavy lifting of sending to all subscribed instances. Your app can subscribe to multiple topics, allowing you to create any set of topics needed to best handle your app’s messaging needs. Of course, just subscribing to receive messages is only half the battle: receiving GCM messages can now be done using a GcmReceiver and a subclass of GcmListenerService. These two classes make it easy to help your app reliably process messages, even when the device is awakened from deep sleep. Applications often need to sync data with their servers when new information is available. In GCM we refer to this model as “send to sync”. We made this task much simpler with the introduction of the GCM Network Manager APIs, which handles many of the common implementation patterns such as waiting for network connectivity, device charging, network retries, and backoff. GcmNetworkManager will schedule your background tasks when it is most appropriate and it can batch multiple tasks together for efficiency and battery savings, even utilizing the JobScheduler APIs for best performance on Android 5.0+ devices. With support for both one-off tasks and periodic tasks, this API serves as a flexible framework for many different types of operations. Now in beta, App Invites is new functionality for both Android and iOS that provides a standard UI for users to invite their contacts to install your app and optionally deep link specifically to selected content, using your users’ device and Google-wide contacts as a source to drive referrals to increase the reach of your app. With the ability to send invites via SMS or email, this provides a great mechanism to organically grow your user base, give your users a consistent way to share your app with exactly who would like it, and track how effective your invites are. With App Invites, our goal is to take the hard work out of building user referral and onboarding flows, so that you can focus on your core app experience. Learn more about App Invites on the developer site! Google Cast is a technology that lets you easily cast content from your mobile device or laptop right to your TV or speakers. With the new ability to use remote display on any Android, iOS, or Chrome app, better media support, better game support, we hope your Google Cast experience is better than ever! We are making it easy for mobile developers to bring graphically intensive apps or games to Google Cast receivers with Google Cast Remote Display APIs for Android and iOS. The new Remote Display API allows you to build a tailored, integrated second screen experience, without requiring an identical mirroring of content between mobile devices and the Google Cast device. Learn more about Remote Display on the Google Cast Developers Site! Playing single media items on Chromecast has been something RemoteMediaPlayer (or CastCompanionLibrary’s VideoCastController) has been doing well for some time. With this release, RemoteMediaPlayer is gaining a full media queue and support for autoplay for a seamless media playback experience. This ensures that all connected devices can easily maintain a synchronized queue of upcoming media items, opening up new possibilities of creating collaborative Google Cast media experiences. Bringing your game to Google Cast can make for a great multiplayer experience, using a mobile device as a game controller and the TV to display the action. To make it easier to send messages and state changes to all connected clients and the cast receiver, Google Play services 7.5 introduces the GameManagerClient and the Game Manager APIs for Google Cast, available for Android, iOS, Chrome, and for receivers. 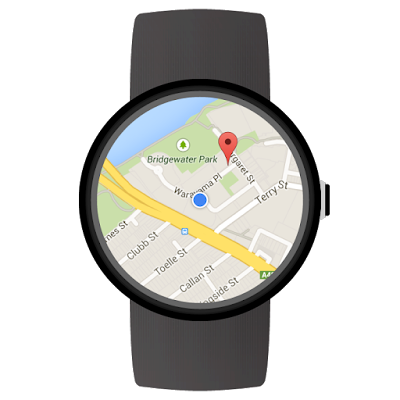 This makes it possible to display fully interactive maps, as well as lite mode maps, directly on Android Wear devices. You’ll be able to scroll and zoom interactive maps, show the user’s current location, and more. Check out the full list of supported features in the developer documentation and check out all the details on the Geo Developers blog. Google Fit is an open platform designed to make building fitness apps, whether that means retrieving sensor data like current location and speed, collecting and storing activity data, or automatically aggregating that data into a single view of the user’s fitness data. You’ll now be able to use the RecordingApi for gathering estimated distance traveled and calories burned data, making it available to your app and other Google Fit enabled apps via the HistoryApi. Being active can take many forms. While some activities are easily measured in terms of steps or distance, strength training is measured in terms of type, resistance and repetitions. This type of data can now be stored in Google Fit via new support for a large number of workout exercises, helping users build a complete view of their activity. 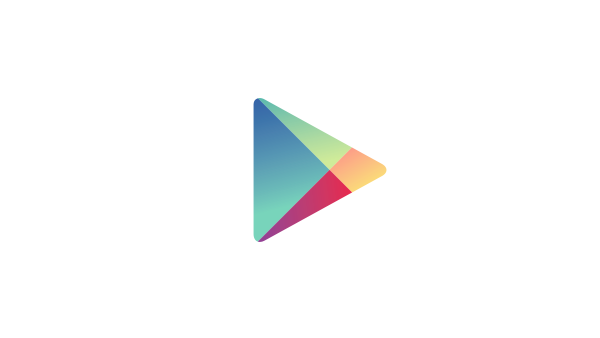 Google Play services 7.5 is now available: get started with updated SDK now! To learn more about Google Play services and the APIs available to you through it, visit the Google APIs for Android site. With more than 50 billion app installs over the past year from users across 190 countries, Google Play continues to see incredible growth thanks to developers like you creating amazing experiences. Play is now reaching more than one billion users every month. In February, we announced that we had paid out more than $7 billion to developers in the prior year alone. This week at Google I/O, we’re introducing new and powerful tools to help you further grow your business, improve decision making based on smarter insights, and better engage your user base with more relevant content. Once you’ve built a great app, the next important step is to proactively find ways to promote it and grow a loyal user base. App install ads are one powerful way to do that. In the coming months, you’ll be able to quickly and easily set up ad campaigns right from within the Google Play Developer Console for the first time. All you need to do is set a total budget and the cost you're willing to pay per user and we’ll scale your app promotion across our networks, including Google Search, AdMob, YouTube and the search ads we’re piloting on Google Play. With this new feature, you will will be able to better find the customers that are most likely to install your app. Whether you pay to acquire users or not, you want to know where they’re coming from. Through the Developer Console, you will soon be able to get a snapshot of how many users visit your Store listing, install your app, and make purchases. 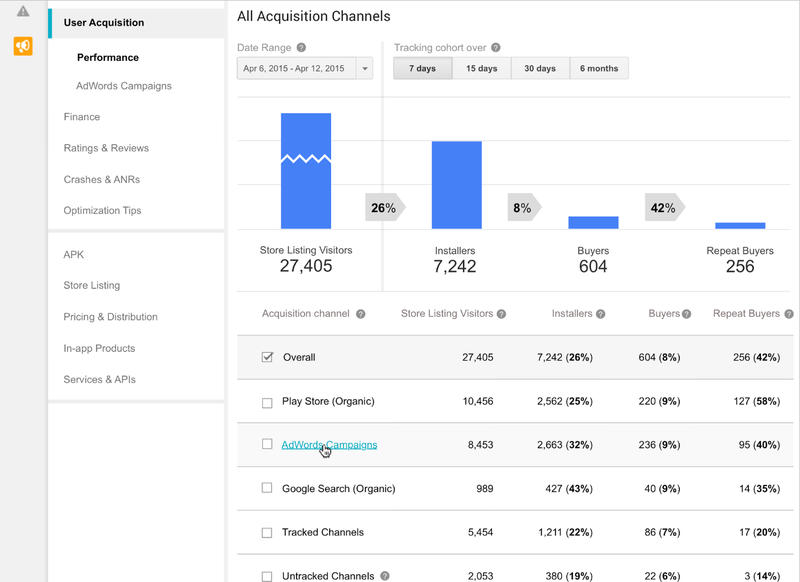 You’ll see where your most valuable users come from — across organic and paid traffic — and better understand where to focus your efforts. 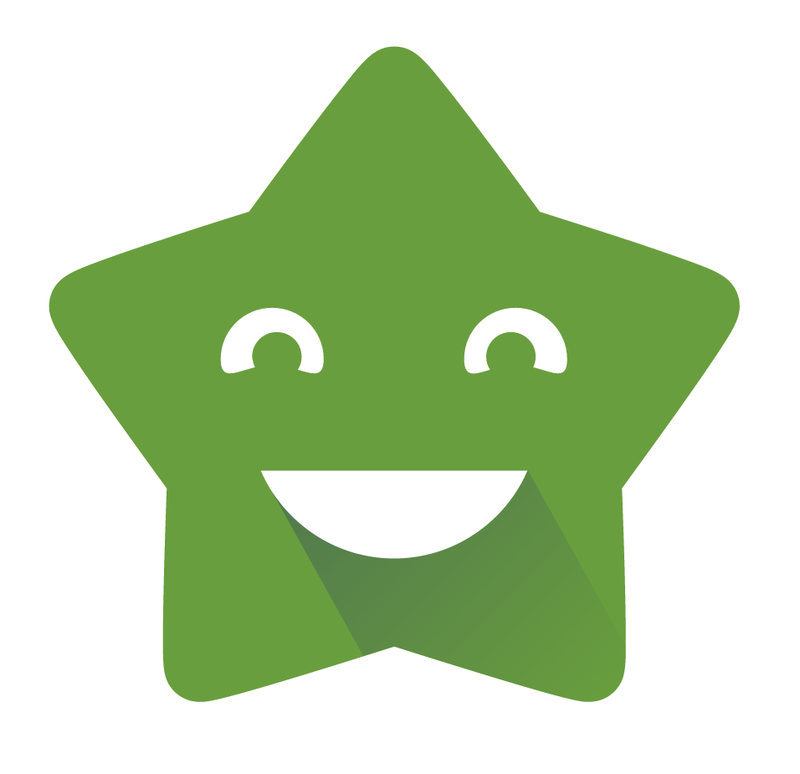 Your Play Store listing is extremely important, as it’s often the first touch point users have with your app. Starting today, we’re making it easier to optimize this page with support for A/B tests. 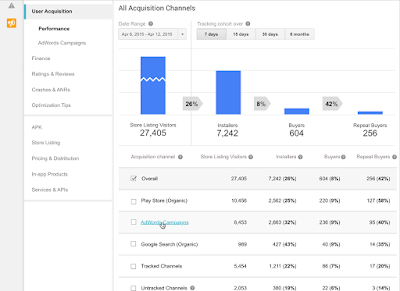 You can run experiments with different versions of text and graphics to see which are most effective in converting visits into installs on Google Play. In our pilot program, we were thrilled to see that some developers like Kongregate achieved double-digit improvements in their install rates so far. With the large variety of Android form factors in the market, testing your app on real devices is a critical step to ensuring a positive user experience on any device. However, you may not have access to every device that your users do. 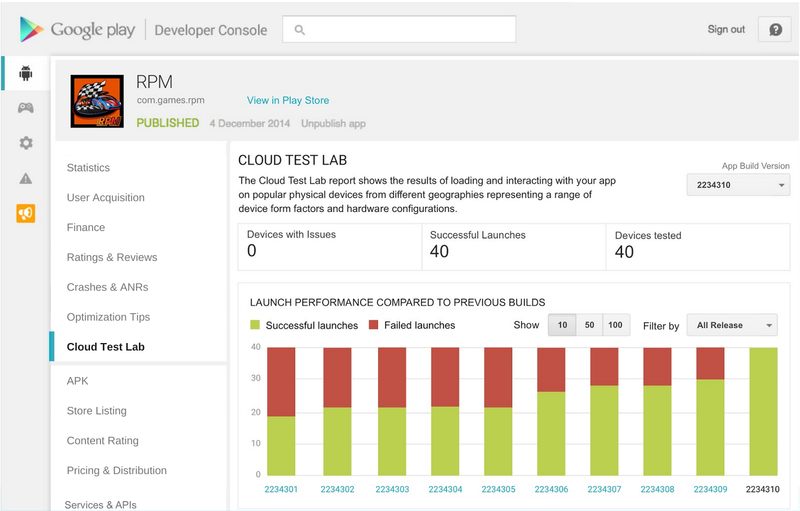 So we’re integrating the newly announced Cloud Test Lab into the Developer Console, which will allow you to automatically test your apps on hundreds of popular physical Android devices for free. We’re going to be rolling out this pilot program gradually, so we’ll welcome your feedback on it. 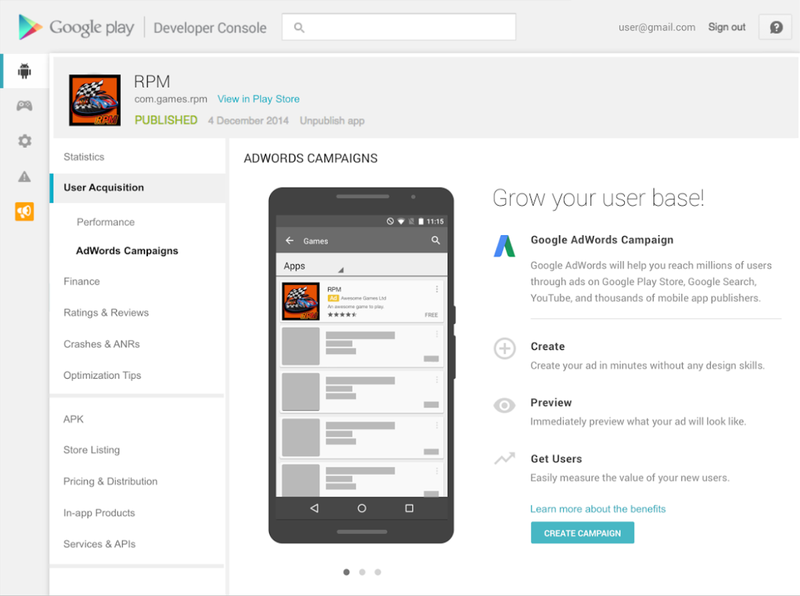 For each APK you upload to an alpha or beta channel, Google Play will execute fully automated testing of your app against physical devices matching your app targeting criteria and output a report with a detailed analysis of issues, including screenshots and logs. Google Cloud Test Lab will roll out to all developers later this year; you can sign-up to become a tester in the Developer Console now. 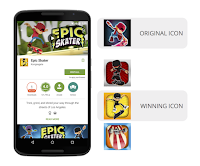 Google Play Games has activated more than 180M new users in the past six months and continues to be the fastest growing mobile gaming platform in history. Over the coming months, we're adding new reports, player segments, game metrics, and event types to Player Analytics to help you manage your games business. We're also bringing enhancements to our live operations tools that will enable dynamic content updates that make games feel more alive and engaging, gameplay to respond to changing player needs, and more fun, personalized user experiences. As the bar for success in mobile gaming continues to rise, we’re continuing to evolve our tools to help you meet the soaring expectations of players. 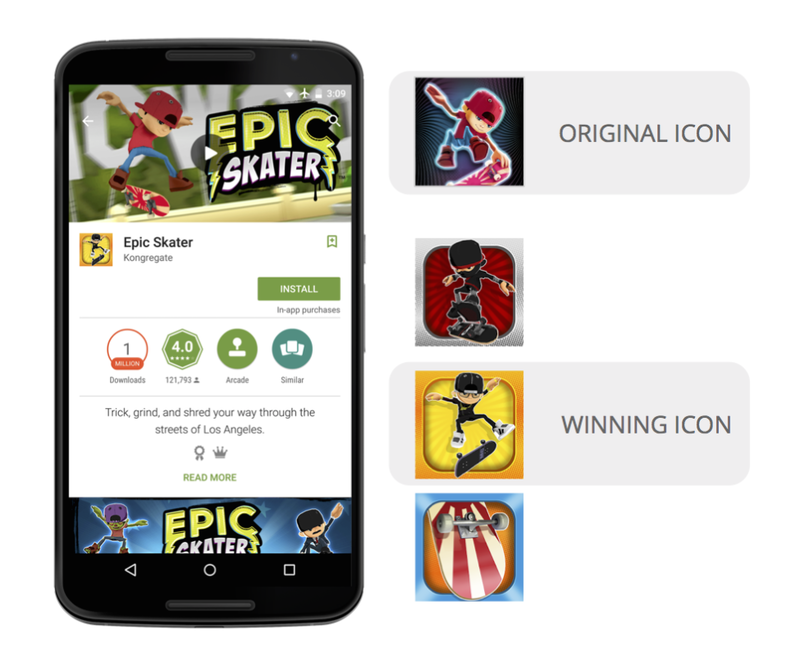 There are several ways in which we are improving the discoverability of great apps and games on Google Play to help drive more engagement. Starting today, you can create a unique homepage on Google Play to promote your entire app catalog. With your own developer page, you are able to upload graphics, explain what your company is all about and pick a special app to feature. This gives you a single destination to promote all of your apps on Google Play. We are also helping guide users with broad interests (e.g. “shopping”) in a new search results experience. The focus is on organizing results in an intuitive way that allows users to narrow their intent -- such as grouping shopping apps into coupons apps and fashion apps. By doing so, users will be able to better see the range of apps that satisfy their needs, while also increasing the chances of discovering new and innovative apps that you’re building. Starting today, we’re making it easier to find family-friendly content on Google Play through new discovery features. On the Apps & Games and Movies & TV homepages, users can now hit the “Family” star to see a curated set of options for specific age groups. In Play Books, tap the “Children’s Books” star. These pages let you browse by age ranges to find content that’s the best fit for the family. If you’ve already opted-in your apps to the Designed for Families program and they’ve met the requirements, they’ll be included in the new family section so that parents can find suitable, trusted, high-quality apps and games more easily. Find out more about opting-in to the Designed for Families program. To learn more, tune-in live to “Developers connecting the world through Google Play” at 1pm PT / 4pm ET / 9pm GMT on May 29 on google.com/io. If you’re at I/O 2015, come along to our breakout sessions where we’ll be talking about and demo’ing these new features. Find our sessions in the I/O 2015 schedule. Check out developer.android.com/distribute over the coming weeks and months as we add I/O videos and more details about these and other new features. Today at Google I/O, we announced a developer preview of the next version of Android, the M release. Last year’s developer preview was a first for Android and we received great feedback. We want to continue to give you developers early access to Android so you have time to get your apps ready for the next version of Android. This time with the M Developer Preview, we will provide a clear timeline for testing and feedback plus more updates to the preview build. Visit the M Developer Preview site for downloads and documentation. Permissions - We are giving users control of app permissions in the M release. Apps can trigger requests for permissions at runtime, in the right context, and users can choose whether to grant the permission. Making permission requests right when they’re needed means users can get up and running in your app faster. Also, users have easy access to manage all their app permissions in settings. 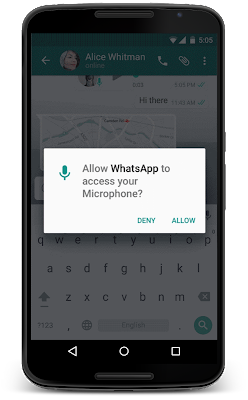 On M, as a developer, you should design your app to prompt for permissions in context and account for permissions that don’t get granted. As more devices upgrade to M, app permission behavior will be a critical development flow to test. App links - We are making it even easier to link between apps. Android has always allowed apps to register to natively handle URLs. Now you can add an autoVerify attribute to your app manifest so that users can be linked deep into your native app without any disambiguation prompt. 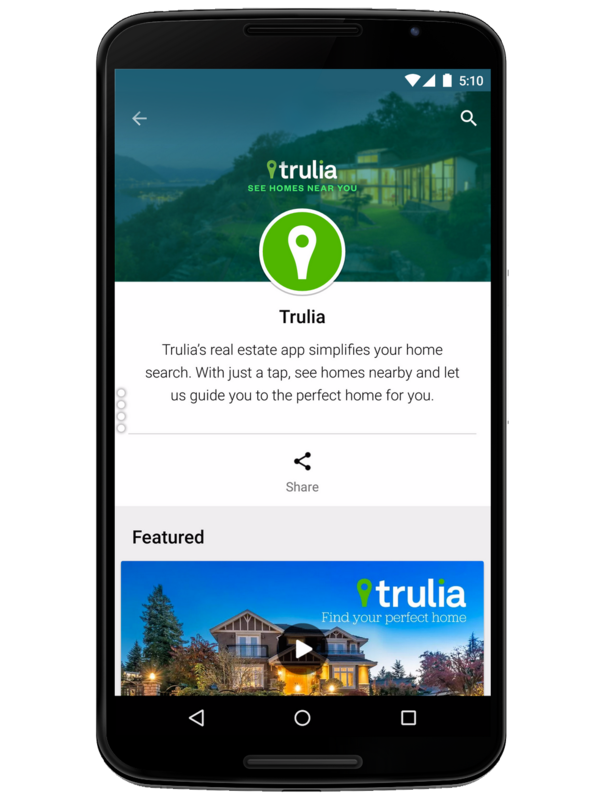 App links, along with App Indexing for Google search, make it easier for users to discover and re-engage with your app. Battery - We’re making Android devices smarter about managing power through a new feature called Doze. With M, Android uses significant motion detection to learn if a device has been left unattended for a while. In this state, Android will exponentially back off background activity, trading off a little bit of app freshness for longer battery life. Consider how this may affect your app; for instance, if you’re building a chat app, you may want to make use of high priority messages to wake your app when the device is dozing. Now on tap - We are making it even easier for Android users to get assistance with Now on tap -- whenever they need it, wherever they are on their device. 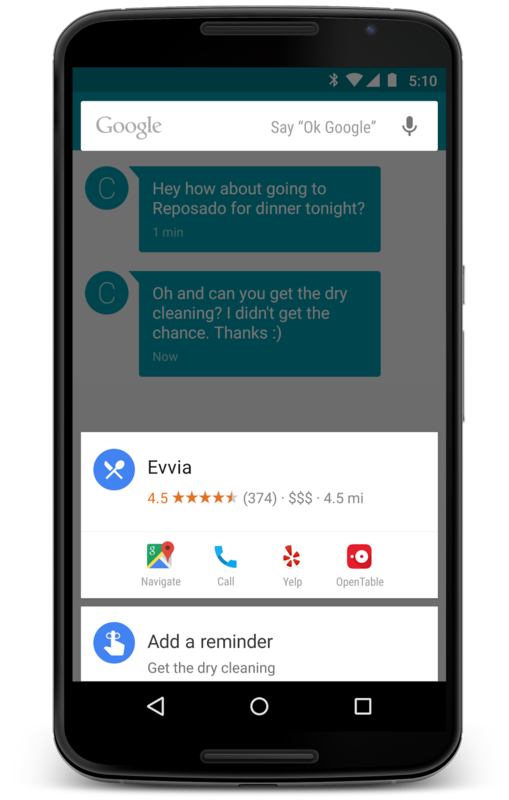 For example, if your friend texts you about dinner at a new restaurant, without leaving the app, you can ask Google Now for help. Using just that context, Google can find menus, reviews, help you book a table, navigate there, and deep link you into relevant apps. As a developer, you can implement App Indexing for Google search to let users discover and re-engage with your app through Now on tap. Android Pay & Fingerprint - We’ve built on our work with Near Field Communications (NFC) in Gingerbread and Host Card Emulation in Kitkat to develop Android Pay. 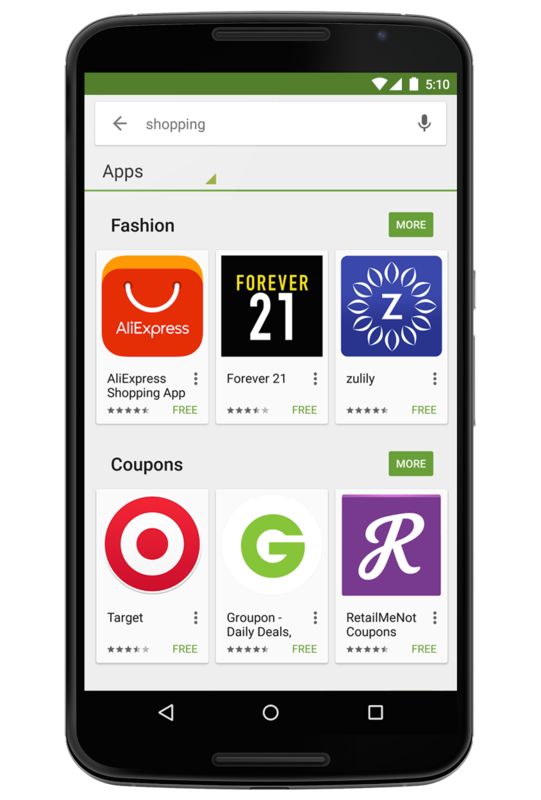 Android Pay will enable Android users to simply and securely use their Android phone to pay in stores or in thousands of Android Pay partner apps. With M, native fingerprint support enhances Android Pay by allowing users to confirm a purchase with their fingerprint. Moreover, fingerprint on M can be used to unlock devices and make purchases on Google Play. With new APIs in M, it’s easy for you to add fingerprint authorization to your app and have it work consistently across a range of devices and sensors. These are just a few highlights from the M Developer Preview that we announced today. The M preview will be available for download right after the keynote. Android Studio v1.3 Preview - To help take advantage of the M Developer Preview features, we are releasing a new version of Android Studio. Most notable is a much requested feature from our Android NDK & game developers: code editing and debugging for C/C++ code. Based on JetBrains Clion platform, the Android Studio NDK plugin provides features such as refactoring and code completion for C/C++ code alongside your Java code. Java and C/C++ code support is integrated into one development experience free of charge for Android app developers. Update to Android Studio v1.3 via the Canary channel and let us know what you think. Android Design Support Library - Making Material design apps gets even easier with the new Android Design support library. We have packaged a set a key design components (e.g floating action button, snackbar, navigation view, motion enabled Toolbars) that are backward compatible to API 7 and can be added to your app to create a modern, great looking Android app without building everything from scratch. Google Play Services - Today we also are releasing v7.5 of Google Play services which includes new features ranging from Smart Lock for Passwords, new APIs for Google Cloud Messaging and Google Cast, to Google Maps API on Android Wear devices. 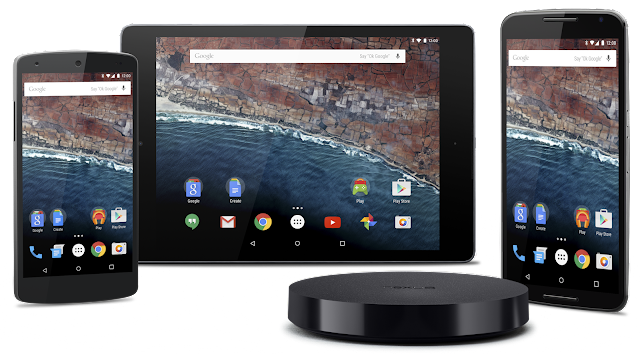 The M Developer Preview includes an updated SDK with tools, system images for testing on the official Android emulator, and system images for testing on Nexus 5, Nexus 6, Nexus 9, and Nexus Player devices. We are excited to expand the program and give you more time to ensure your apps support M when it launches this fall. Based on your feedback, we plan to update the M Developer preview system images often during the developer preview program. The sooner we hear from you, the more feedback we can integrate, so let us know! A new update to Android Wear is rolling out with lots of new features like always-on apps, Wi-Fi connectivity, media browsing, emoji input, and more. Let’s discuss some of the great new capabilities that are available in this release. Above all, a watch should make it easy to tell the time. That's why most Android Wear watches have always-on displays, so you can see the time without having to shake your wrist or lift your arm to wake up the display. In this release, we're making it possible for apps to be always-on as well. With always-on functionality, your app can display dynamic data on the device, even when the app is in ambient mode. This is useful if your app displays information that is continuously updated. For example, running apps like Endomondo, MapMyRun, and Runtastic use the always-on screen to let you keep track of how long and far you’ve been running. Zillow keeps you posted about the median price of homes nearby when you’re house-hunting. Always-on functionality is also useful for apps that may not update data very frequently, but present information that’s useful for reference over a longer period of time. For example, Bring! lets you keep your shopping list right on your wrist, and Golfshot gives you accurate distances from tee to pin. If you’re at the airport and making your way to your gate, American Airlines, Delta, and KLM let you keep all of your flight info a glance away on your watch. Note: the above apps will not display always-on functionality on your watch until you receive the update for the latest version of Android Wear. Always-on functionality works similar to watch faces, in that the power usage of the display and processor is kept to a minimum by reducing the colors and refresh rate of the display. To implement an always-on Activity, you need to make a few small changes to your app's AndroidManifest.xml, your app’s build.gradle, and the Activity to declare that it supports ambient mode. A code sample and documentation are available to show you how it works. Be sure to tune in to the livestream at Google I/O next week for Android Wear: Your app and the always-on screen. Many existing Android Wear devices already contain hardware support for Wi-Fi, and this release enables software support for Wi-Fi. The saved Wi-Fi networks on your phone are copied to your watch during setup, and your watch automatically connects to those Wi-Fi networks when it loses Bluetooth connection to your phone. Your watch can then connect to your phone over the Internet, even if they’re not on the same Wi-Fi network. You should continue to use the Data Layer API for all communications between the watch and phone. By using this standard API, your app will always work, no matter what kind of connectivity the user’s wearable supports. Cloud sync also introduces a new virtual node in the Data Layer called the cloud node, which may be returned in calls to getConnectedNodes(). Learn more in the Multi-wearable support section below. The release of Google Play services 7.3 now allows support for multiple wearable devices to be paired simultaneously to a single phone or tablet, so you can have a wearable for fitness, and another for dressing up. While DataItems will continue to work in the same way, since they are synchronized to all devices, working with the MessageApi is a little different. When you update your build.gradle to use version 7.3 or higher, getConnectedNodes() from the NodeApi will usually return multiple nodes. There is an extra virtual node added to represent the cloud node used to communicate over Wi-Fi, so all developers need to deal with this situation in their code. To help simplify finding the right node among many devices, we have added a CapabilityApi, allowing your nodes to announce features they provide, for example downloading images or music. You can also now use the ChannelApi to open up a connection to a specific device to transfer large resources such as images or audio streams, without having to send them to all devices like you would when embedding assets into data items. We have updated our Android Wear samples and documentation to show the best practices in implementing this. The Android 5.0 release added the ability for apps to browse the media content of another app, via the android.media.browse API. With the latest Android Wear update, if your media playback app supports this API, then you will be able to browse to find the next song directly from your watch. This is the same browse capability used in Android Auto. You implement the API once, and it will work across a variety of platforms. To do so, you just need to allow Android Wear to browse your app in the onGetRoot() method validator. You can also add custom actions to the MediaSession that will appear as controls on the watch. We have a Universal Media Player sample that shows you how to implement this functionality. The latest version of Android Wear will roll out via an over-the-air (OTA) update to all Android Wear watches over the coming weeks. To take advantage of these new features, you will need to use targetSdkVersion 22 and add the necessary dependencies for always-on support. We have also expanded the collection of emulators available via the SDK Manager, to simulate the experience on all the currently available devices, resolutions, and shapes, including insets like the Moto 360. In this update, we have also disabled support for apps that use the unofficial, activity-based approach for displaying watch faces, as announced in December. These watch faces will no longer work and should be updated to use the new watch face API. Since the launch of Android Wear last summer, Android Wear has grown into a platform that gives users many possibilities to personalize their watches, with a variety of shapes and styles, a range of watch bands, and thousands of apps and watch faces. Features such as always-on apps and Wi-Fi allow developers even more flexibility to give users amazing experiences with Android Wear.